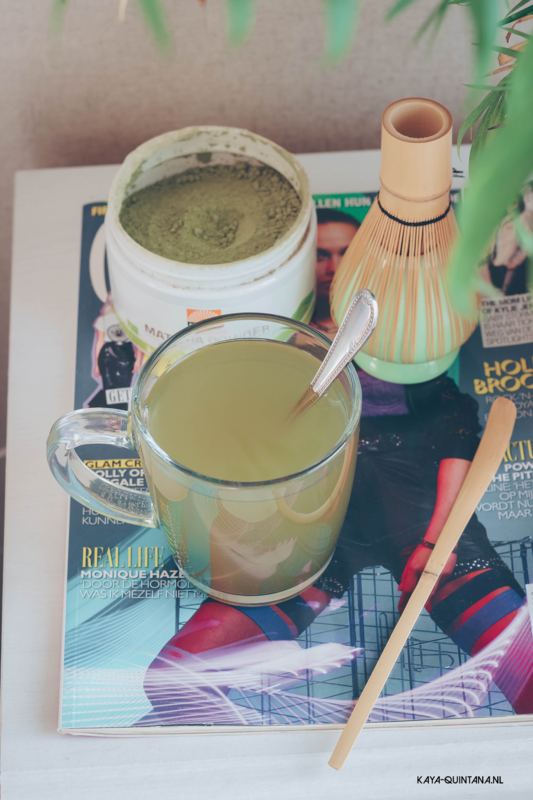 Let’s talk Matcha tea, because I’ve really been getting into it. 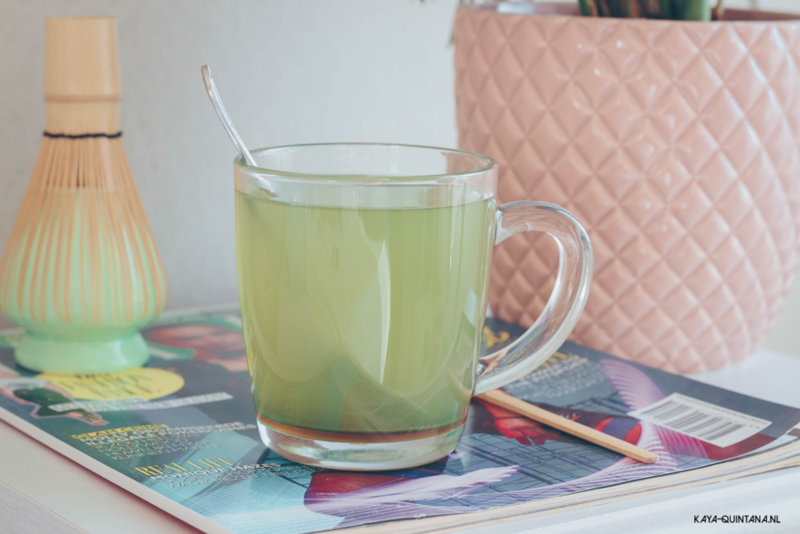 I’ve been a fan of green tea since I first started drinking it. I used to buy gunpowder, which is pure green tea. It’s basically a big box of dried green tea leaves, without any other ingredients added. I prefer this tea over commercial green tea, because it’s very powerful and pure. I don’t like added aroma’s and sugar in my tea, which makes plain tea the perfect match. I want my tea to be as pure as it can be, so I can get the best out of it. I also like how pure green tea tastes and what it does for my body. Pure green tea has many benefits. It contains caffeine which can give you an energy boost. There are also claims that green tea helps with weight loss. I personally have not noticed that, but it does make me pee a lot. Which is a reaction to the caffeine, if we can believe the answers that came up through Google. My main reason for liking green tea is because it makes me pee a lot! I know that sounds weird, but it helps with getting rid of water weight. I used to hold a lot of water weight and I had trouble losing it. 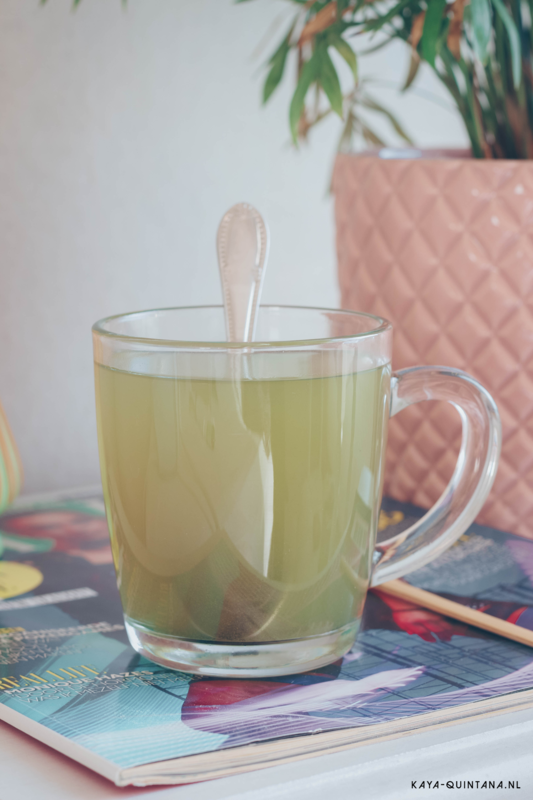 Green tea to the rescue! Now, this is exactly why I love Matcha tea so much. Matcha tea is also green tea, but it’s been processed differently. Matcha tea is made from very young green tea leaves that grow on the Camellia Sinensis plant. This is the same plant they use for ‘regular’ green tea. The young tea leaves are dried, steamed and then ground into powder. I’m giving you the outlines of the process, because the entire process takes longer and has more steps. You can read a lot about that online or watch a few videos on Youtube. 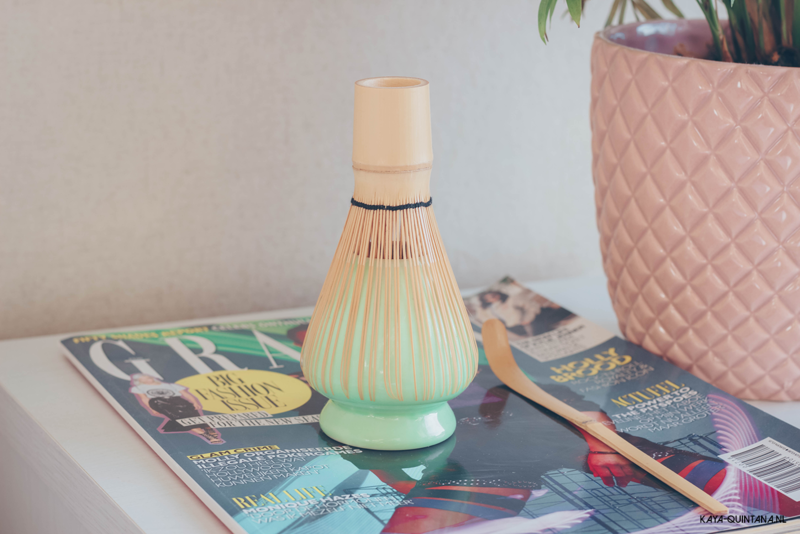 Matcha tea can be quite expensive, prices can vary from €30 to over a €100 for about 50 grams. Matcha tea also comes in variations like ceremonial, culinary and all purpose. Ceremonial match is made from top notch tea leaves, the youngest leaves at the top of the tea plant. The culinary Matcha is from the leaves below that and the all-purpose Matcha is made from the lower level leaves. The position of the leaves determines the taste, quality and therefor the price. Many Matcha stores recommend buying the ceremonial grade Matcha for tea. The other Matcha grades are recommended for cooking and baking. The ceremonial Matcha is made from the youngest tea leaves, which are meant to have the best taste and quality. That’s why they often advice you to get that grade of Matcha tea. Wow, that’s a lot of information on Matcha. Now back to why I like it, haha! I mostly like Matcha tea because it tastes better than regular pure green tea. It’s softer and creamier when it comes to the texture. It can be quite bitter depending on the brand, which takes some getting used to. You can also add some honey to fix that bitter taste quickly. Matcha tea is made by whisking the tea powder with boiled water, so it gets really fluffy and frothy. I’ve also seen people mix Matcha with all kinds of milk and yoghurt. I’ve also seen smoothie and chai recipes with Matcha. Needless to say that this type of tea is very, very versatile. You have to be careful with buying Matcha though. I personally made a mistake buying the Matcha I own now. 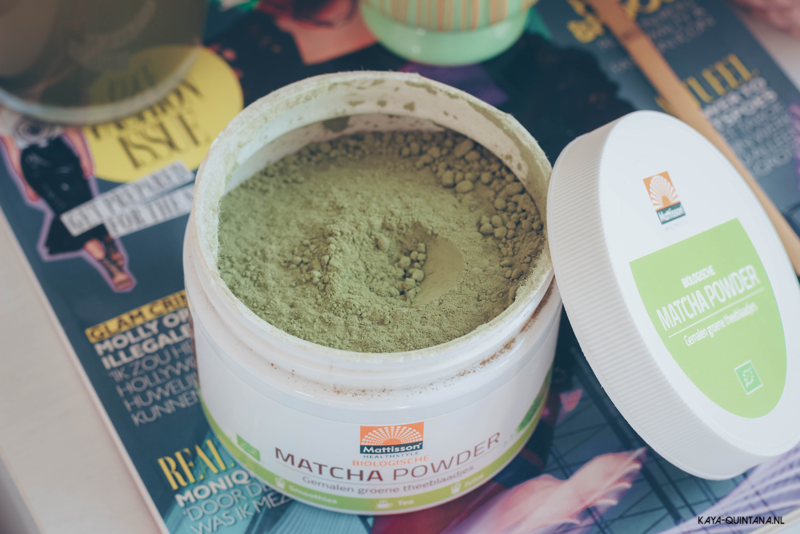 I bought Matcha powder at Holland and Barrett, from a brand called Mattisson. I was so excited I found Matcha tea, I didn’t even think to check if I bought the right kind. 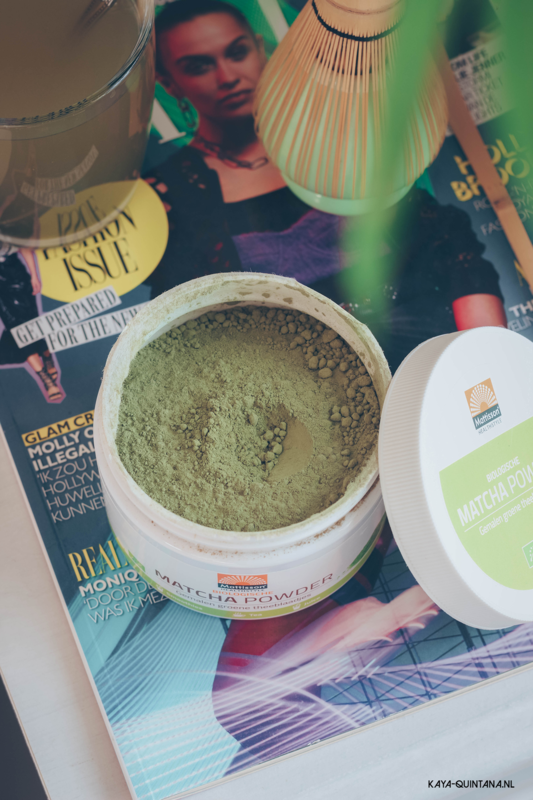 I later found out that the Mattisson Matcha powder probably comes from China. This doesn’t make it bad tea, it’s just not as high in quality as Japanese ceremonial Matcha. What a bummer! Because this tea was already really expensive. After reading a lot about good Japanese Matcha, I’ve learned that it should be a bright and vibrant green color. As you can see in the pictures, mine is anything but bright. That’s due to different processing and according to many tea blogs, China’s lower standards for tea. Apparently Japan takes their Matcha very seriously and they also have better resources to make the best Matcha tea. Therefor it’s a good thing to research your choice of Matcha first, so you can buy the best version. I’m now stuck with a Matcha tea that isn’t the best choice or quality. It smells exactly like the gunpowder tea, very deep and earthy. Now I’m not saying this tea is bad, not at all. It still tastes very nice and it makes me pee a lot, haha! But it’s not the real deal Matcha and therefor I will not buy it again. I will do more research next time and get myself good Matcha tea. 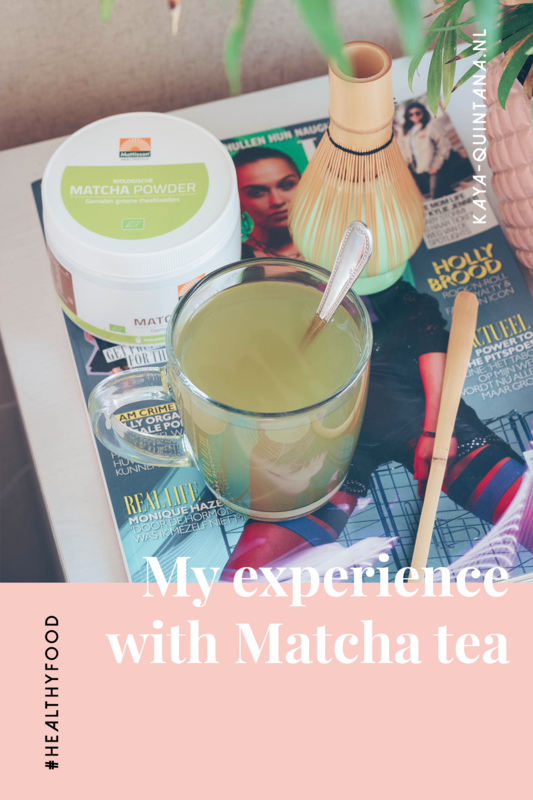 Because I really want to experience a good cup of Matcha and get all the healthy benefits. What is your favorite Matcha brand or do you still have to try it? P.S. Follow me on Bloglovin for more food tips and tricks! Did you like this article? Great, you can buy me a drink to support my work. Thanks in advance!